Our 12 Litre Rejoice Series is a slimline rectangular pedal bin ideal as a waste paper bin in any narrow space. The exterior contains an ABS hardened plastic bucket which can simply be lifted out and emptied alternatively you can insert any suitable bin bag. 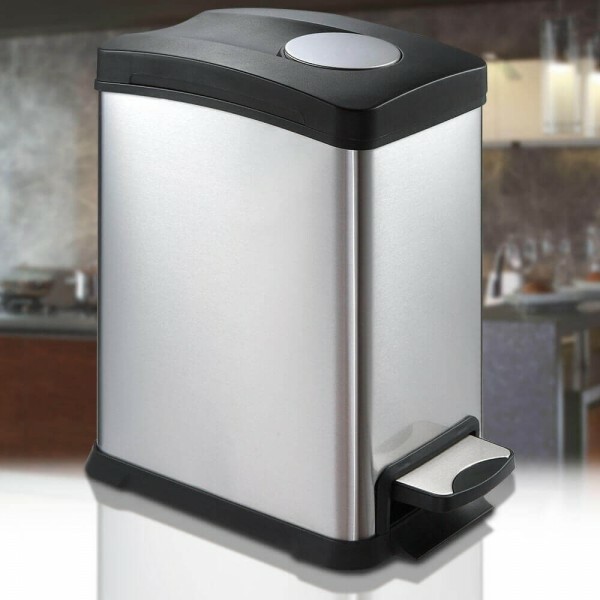 The 12L Rejoice bin is a great bin to have around the workplace for small office and household waste, it ideally fits into any bathroom as a sanitary bin due to its sleek and streamlined design. This bin is expertly crafted and the pedal activation ensures that it is a clean and hygienic way to dispose of your household waste.